When reflecting on the life of Ronald Rothley, it is easy to see that his first thoughts were always of others. He worked hard in everything he did including his deep devotion to the community he called home throughout his life. Ron deeply treasured his loved ones, and his family that grew to include children, grandchildren, and great-grandchildren was his greatest source of pride and joy. Known for his fantastic stories, he brought the world around him to life. Although he will be deeply missed, Ron will never be forgotten. The 1930s brought us some of the darkest days we have seen in America as the entire decade was blanketed by the Great Depression. Jobs were hard to come by, the unemployment rate soared, and there were few American families who didn’t feel the strain. 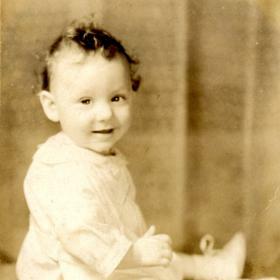 Despite the trials around them, Victor and Hazel Rothley were able to shift their focus to an exciting time in their own lives as they were blessed with the birth of the baby boy they named Ronald Gilbert on April 21, 1935, in Bloomington, Indiana. He was the younger of two boys in his family as he was raised alongside his brother, Lawrence “Larry,” with whom he was very close. When he was still a young boy, Ron moved to Grand Rapids, Michigan, where he attended local schools. His high school years found him at Union High School where he competed in track. After graduating from high school, Ron took some drafting classes. Life was forever changed for Ron when he became acquainted with a woman named Barbara who lived a few houses down. They were both going through a divorce at the time, but they soon found love in one another. With a desire to spend the rest of their lives together, they were married on August 28, 1965, about six months after they began dating. They made their home at 142 Murray Street in Wyoming, and this is where they raised her three children, Tobey, Scott, and Molly, alongside one another. Ron was an important part of their lives and loved them all as his own. Later, Ron and Barb had two additional children, Todd and Aaron, and they were all one big family. 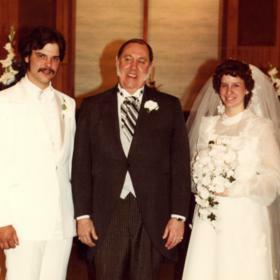 Ron was actively involved in the lives of his children including as a Scout leader from the time they were young until they earned the rank of Eagle Scout. Ron has been described as the best dad ever, and later in life he was thrilled to become a grandfather. Throughout his life Ron was known for his strong work ethic. He proudly served his country in the United States Navy including serving during the Korean Conflict for four months. Ron was honorably discharged early because he had a family back home to take care of. From the time he was only 18, he worked for the United States Post Office. He started out as a clerk at the Wyoming Post Office. Once the family moved to Kentwood, Ron worked at the Kentwood Post until he retired in 1990 at the age of 55. Ron later worked as a ticket taker at DeVos Place. Over the years, Ron was a man of many interests. Someone who loved all kinds of music, he sang bass in choir at St Marks Lutheran Church. Ron also played his harmonica at family get togethers and bass guitar with his brothers-in-law, often at Christmastime. During their retirement years, he and his wife did some traveling including to Mexico, Florida, and on several cruises. Ron was a sports fan and loved the IU Hoosiers, Lions, and Tigers, and he also enjoyed fishing, golf, bowling, and an occasional baseball game in the backyard. A meat and potatoes guy, Ron loved cooking on the grill, anything his wife made, and eating out at Applebees and Village Inn Pizza House. He loved his gold 1970 Chevy Malibu two door coupe, too. Ron told great stories, and he loved going out to lunch with his friend, Senator Gerald R. Ford, because they loved swapping stories together. 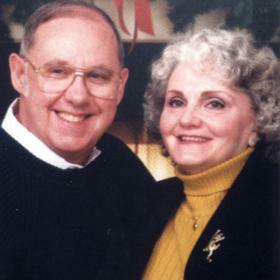 With his kind and fun-loving spirit, Ronald Rothley was a blessing to those around him. He had open arms for all who were near, and his calm and gentle nature drew others near with ease. Ron was a great listener, and he was there for anyone who needed him. He selflessly cared for the people in his life until the day he died in ways both great and small. Life will never be the same without Ron here, but he leaves behind a timeless legacy that his loved ones will proudly carry on in his footsteps. 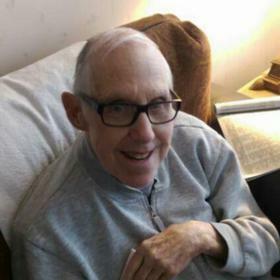 ROTHLEY, Ronald G, Grand Rapids, MI, Age 83, passed away May 11, 2018. 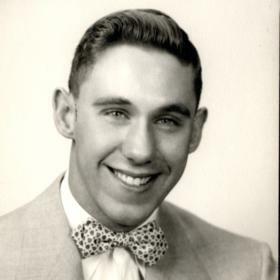 Ron was born April 21, 1935 in Bloomington, IN to the late Victor and Hazel Rothley. He was also preceded in death by his wife, Barbara Rothley; brother, Lawrence Rothley; and son-in-law, Timm Roelofs. Ron is survived by his children, Tobey Halston of Muskegon, Scott (Deb) Daniels of Delton, Molly Roelofs of Wyoming, Todd Rothley of Wyoming, Aaron Rothley of Byron Center; 11 grandchildren; and 14 great grandchildren. Ron proudly served his country with the US Navy during the Korean War. He will be remembered for his storytelling, his love for fishing and the I.U. Hoosiers. Friends may visit with his family, where food will be served, on Monday, May 14, from 4-7 PM at Heritage Life Story Funeral Home, 2120 Lake Michigan Drive NW. A private funeral service will take place. Interment will be in Rosedale Memorial Park. Memorials may be made to Grand Rapids Home for Veterans. Please visit Ron's personal web page to read more of his life story, leave a memory or condolence at www.lifestorynet.com.